Kiril believes in the ancient principle of Guru-Shishya Paramparā – the transmission of spiritual knowledge from teacher to student. His immediate interest in the science of Yoga has emerged after accidentally reading the BHAGAVAD GITA in 2012. Fascinated by the thorough parallels between the Daoist principles of following the natural way (Dao) with equanimity of Lao Tzu in Dao De Jing and the ideas of Abhyasa (practice without expectations) and Vairagya (detachment) in the Gita led to him embarking on his Yoga Journey. He is deeply honored to study with the current lineage holder of Ashtanga Yoga tradition. Since 2015 he made 5 consecutive trips of 2 to 3 months each to the source of the Tradition – the K. Pattabhi Jois Ashtanga Yoga Institute (KPJAYI) in Mysore, India. In 2017 Kiril received the blessings from ParamaGuru Sharath Jois (Authorized Level 1) to teach the traditional Ashtanga Yoga method. In the last 3 seasons (2017, ’18, ‘19) Kiril has been truly grateful for the opportunity to assist Guru Sharath in the KPJAYI Shala. This has been unimaginable learning and humbling experience, facilitating silently the practice of amazing people from all over the world and receiving with deep appreciation the direct instructions from the Guru. Monica wurde in Mailand, Italien, geboren. 1995 zog sie nach Auroville, eine internationale Gemeinschaft in Südindien. Sie begann Ashtanga Yoga im Jahr 1999 bei der anerkannten Ashtanga-Yoga-Lehrerin Karen Haberman zu praktizieren. Zu ihren Lehrern gehörten auch Rolf Naujokat, Tim Miller, Dena Kingsberg und David Swenson. Seit 2001 praktizierte sie unter der Leitung von Sri K. Pattabhi Jois und seinem Enkel Sharath am Krishna Pattabhi Jois Ashtanga Yoga-Institut in Mysore, Indien wo sie einige Monate im Jahr studiert. Monica hat die Level 2 Autorisierung vom Institut erhalten, um die gesamte Intermediate Serie des Ashtanga-Systems zu unterrichten. Sie studiert derzeit die 3. / Advanced A-Serie mit Sharath Jois. Von 2004 bis 2016 unterhielt sie eine Ashtanga Yoga-Shala in Auroville, Indien. Von 2017 bis 2018 eröffnete und leitete sie `Mysore Berlin Ashtanga Yoga` in Berlin. Zudem reist sie seit 2007 regelmäßig als Gastlehrerin um die Welt. Monica assistierte Sharath Jois 2010 und 2012 für einige Monate in der Shala in Mysore und nahm 2009 und 2014 an seinen Spezialkursen für Lehrer teil. Monica unterrichtet mit Liebe und Hingabe und kümmert sich zutiefst um die Praxis und ihre Schüler. Liz started practicing Yoga in her teens 14 years ago in Venezuela. At the start she practiced different styles of yoga, but already four years later found Ashtanga Vinyasa Yoga while living in California where she had the chance to practice with Tim Miller. Several years later she felt privileged to take part in his teacher training. Another big influence in her Ashtanga Yoga path has been Lino Miele, whom she considers an endless source of inspiration and guidance in her journey. Furthermore her ‎studies in the Ashtanga methodology have been developed in Sri K. Pattabhi Jois‘ Ashtanga Yoga Institute in Mysore, India, where she has practiced with Sharat Jois as well as his mother Saraswathi. Currently she lives in Venezuela where she teaches and practices everyday with love and devotion at her own yoga studio called Samasthitih in the city of Caracas, Venezuela. 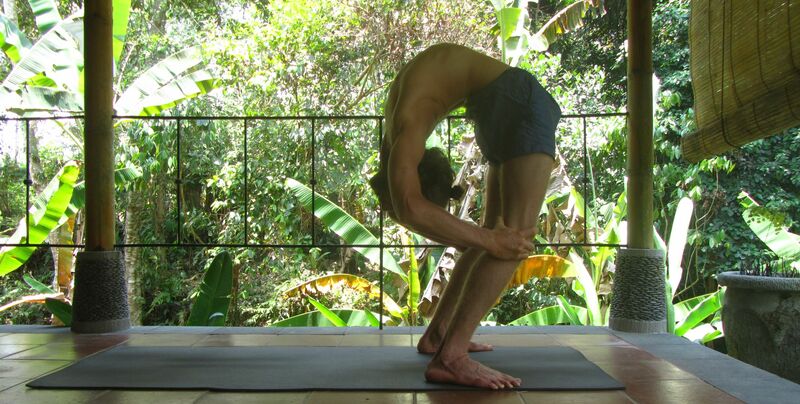 I was born and raised in Caracas Venezuela, and started to practice ashtanga there with Liz Carrasquel in 2011. Since then I dedicated my life entirely to it, not only to the asanas but to the whole spiritual aspects that it involves. I used to practice other styles before, but it was this method the one that really made a difference in me. Since 2013 I started to travel to Mysore to practice under the guidance of Sharath Jois. His discipline and devotion for the practice were my inspiration to go deeper in this journey and continue to practice every single day. Since then I kept going to Mysore every year and in 2016 I received his blessing to teach the practice in his tradition. Yoga helped me to become a more centered and focused person, cultivate healthy relationships with my family and friends, have a peaceful routine with less stress and become aware of the power from the actions that I decide to take, because they are the ones that will transform my life. Before yoga I used to be a preschool teacher in a constructivist school where teachers and kids builded the knowledge together by creating meaningful experiences that allowed the kids to apply what they were learning to real life and adapting every activity to their particular needs and interests. That’s why I fell in love with Mysore Style, because it is a place to build a practice which adapts to everyone’s particular needs and help them develop by allowing the practice to mold to every person’s different body and mind. I started teaching Ashtanga Mysore Style in the living room of my house in Barcelona in 2014 after that I decided to move with my former partner to Gdansk – Poland and we opened the first ashtanga school in the city, introduced the mysore style and builded together a community of practitioners. I have had the great opportunity of teaching with very experienced teachers like Laruga Glasser, Przemek Nadoldy, Steve Lapham, Ricardo Martinez, and also assisted Sharath Jois in KPJAYI this year in February. The most important for me is that I’m married to the practice, I do it every morning without excuses, because I’m convinced that to share yoga with other students the most important is to have enough experience which is given by the self practice, this meaning not just the asanas but the practice of having a clean body a clean mind and a healthy lifestyle. Every year when I go to​ Mysore I assist to Philosophy and chanting classes with Dr. M. Jeyashree and Prof. M. Narasimha in Anatha Research Foundation, thanks to this I have learned to see reality in a more clear way and find peace in the most difficult moments. In my free time I love to cook and share with my friends, watch stand up comedies, go the nature and enjoy a nice view, drink coffee, go for scooter rides and eat peanut butter with dates. It was in 1998 that Ashtanga yoga came into my life, and I would have to say that it was just in time. Life for me was pretty crazy at that point and if I hadn’t found the therapy of the daily practice Ashtanga provi­des, then it would probably be a different story for me today. There is something very special that happens to a person when the practice takes hold, & this is what I wish to share with you. In 2002, I first began practice with Sri K Pattabhi Jois and R. Sharath Jois on their tour in New Zealand. The late Guruji really in­spired me and since 2004 I have been returning to Mysore deepening my connection to Ashtanga at its source by continuing with Sharath. In 2010, my dedication to the practice was recognized by Sharath & I was then selected for his level 2 (full intermediate series) training for authorised students. Today, my daily practice includes the 4th series and the Ashtanga pra­nayama sequence. I am so passionate about these systems and belie­ve in their efficacy towards ultimate health, that I continue to study classical Yoga philosophy, Sanskrit and Ayurveda and bring these practices of my direct experience into the class. Spending time with people who inspire me like Rolf Nau­jokat and other senior practitioners keep the juices flowing and to whom I am also indebted for the dedication of these yogis. Sat Inder S. Khalsa begann im Jahr 2000 Ashtanga Yoga zu Hause zu praktizieren. Später in diesem Jahr traf er Sri K. Pattabhi Jois und seinen Enkel Sharat R. Jois in Boulder, Colorado für einen zweiwöchigen Workshop. Zwischen 2000 und 2008 traf er Pattabhi und Sharath zweimal auf ihren Tourneen und praktizierte mit Nancy Gilgoff, Richard Freeman sowie einigen anderen renommierten Lehrern bei verschiedenen Gelegenheiten. 2008 verließ er den Ashtangaweg und studierte vier Jahre lang andere Yogastile, um dann Anfang 2012 wieder die Ashtangapraxis aufzunehmen. Im gleichen Jahr traf er auf Kino McGregor bei der Ashtanga Confluence, wo er auch 2013 mit Mark Robberds, Nancy Gilgoff und einigen anderen praktizierte. Dort reifte schlussendlich die Entscheidung nach Mysore zu gehen, um mit Sharath zu studieren. Seither gilt dieser als sein Lehrer und Sat Inder reiste bislang fünf Mal nach Mysore um unter seiner Aufsicht zu praktizieren. Im Dezember 2016 erhielt er von dem gegenwärtigen Linienhalter R. Sharath Jois die Autorisierung, die Ashtanga Methode zu unterrichten. Seitdem ist er nicht mehr in die USA zurückgekehrt. Sat Inder lebt und unterrichtet heute in Mysore, Indien sowie in Deutschland und weiteren Orten. Sat Inder wird ab 4. Dezember 2017 bei uns als Lehre zu Gast sein.